Bad Wolf Costumes: Men's TNG season 1 admiral pattern, now shipping! Men's TNG season 1 admiral pattern, now shipping! 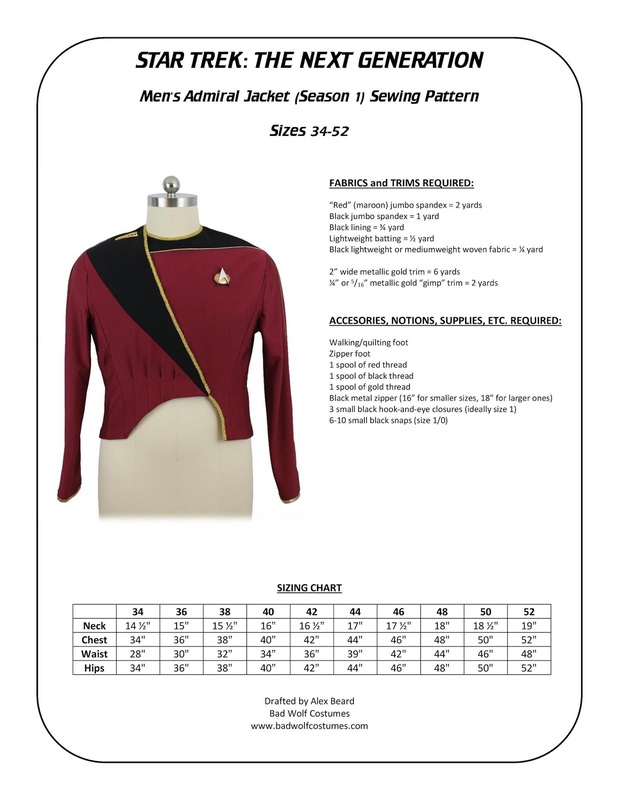 Our men's TNG season 1 admiral jacket pattern is now shipping! Thank you, everyone who pre-ordered! A free sewing tutorial (intended for use with this pattern) is coming soon to the "Star Trek Costume Guide!"